Mit Unterstützung der GWTF e.V. First Berlin Forum Innovation in Governance. 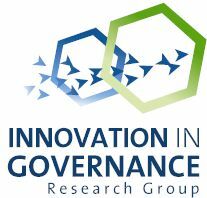 How can we make innovation in governance a fruitful research perspective? What are the current challenges facing dynamic approaches to the study of governance? And how is this research field likely to develop in the future? The first Berlin Forum Innovation in Governance seeks to lay the conceptual and methodological grounds for studying the genesis, dynamics and politics of new forms of governance. The Forum provides a space for scholars from different disciplines to exchange their ideas on how we can study empirically the processes through which innovation in governance unfolds, the constellations from which innovation in governance emerges and the agencies that bring about and shape innovation in governance. We invite abstracts for papers that discuss and/or probe particular approaches to conceptualise innovation in governance and trace the development of governance patterns through time and space. Studies may focus on different units of analysis, such as new modes of governance or policy instruments, models and theories of governance, policy issues and problems, emerging forms of transnational governance or institutional renewal within particular domains, the creation of new actor networks and alliances, or the culture of governing and policy-making with emerging norms, roles and habits. 1. Proposals for paper presentations should not exceed 500 words and should be submitted in either .doc or .pdf format. We will select eight papers for presentation. 2. We also invite proposals for posters (not more than 500 words/.doc or .pdf) which present ongoing or completed research projects (also PhD theses) with relation to the overall topic of innovation in governance. The poster session includes a concourse with five minutes for each poster to highlight questions, approach and findings. 3. We also encourage those of you who do research along the lines of the above themes, but who do not feel they are in the position to produce a paper, to volunteer as discussant of one of the papers. Please send a short biography and CV (not more than 300 words), including relevant information on your research field and publications. The submission deadline for all proposals is Sunday 14 February 2010. Please submit all proposals by email to Thomas Crowe: crowe@ztg.tu-berlin.de. We are pleased to inform you that we will be able to cover travel expenses for a limited number of participants. Please indicate your need for travel funds when submitting your proposal. Successful applicants will be notified via email by the end of February 2010. Selected papers and posters will be considered for publication in a planned series of special issues or edited volumes on the topic of innovation in governance.